7% • 750ml • Really? Cellar an IPA? Yes. Brettanomyces brings about charmingly unpredictable complexities of spice, funk, acidity and more. 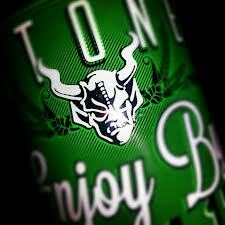 **Stone Brewing company will be releasing their next Enjoy By beer soon. Enjoy By 5-30-16 will be brewed using Tangerines and should be hitting distro soon. Stone continues to take this very popular line of beer and make a few additions and tweaks to it.This will be available in 22 oz bottles and will check in at 9.4%. Really looking forward to trying this one so be on the lookout for Stone Enjoy By 5-30-16 Tangerine IPA. **Prairie will be releasing a double IPA in the near future as they prepare to brew and send out Phantasmagoria. No details on the hops being used in this beer and I think this might be the 1st Prairie IPA we’ve seen available? Super stoked to try this one when it comes out, stay tuned for more! The markets haven’t been released yet but following suite from the hit Enjoy By Series, Stone will be releasing an Enjoy By 11.21.15 BLACK IPA soon! 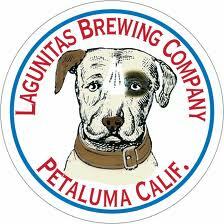 It will come in 22 oz bombers and will check in at 9.4% ABV. Stay tuned for release details and markets, let’s keep our fingers crossed that Iowa will be one of those markets because I would love to try this beer! Our 27th Anniversary Imperial Porter was brewed with Theo’s cocoa nibs, pomegranate molasses and select spices, blended with apricot puree, and then aged in bourbon barrels. 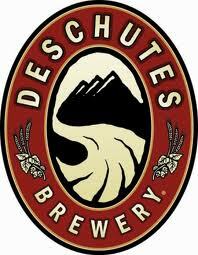 The result is a truly exquisite ale with bold chocolate character, inspired flavors of fruit, and just a pinch of spice. The perfect way for us to celebrate our golden birthday with you! An ode to the communal Saison, LONG TABLE Farmhouse Ale brings together the juicy flavors of Belgian yeast and Nelson Sauvin hops with the spicy and toasty notes of Munch and Rye grains. Grab a seat! 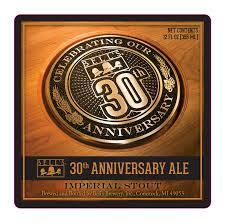 *Bells 30th Anniversary Ale – 30 years for beers and what better way to celebrate than to pay homage to their Expedition Stout. The 30th Anniversary will be dark fruit filled, roast, and chocolate. A great beer to age due to the dark malt. It will check in at 11% and be available in 6 packs, not sure if sold as singles or not. Stone Enjoy By IPA 02.14.15 is being bottled on 1/9/15 and hits the markets below as soon as possible. 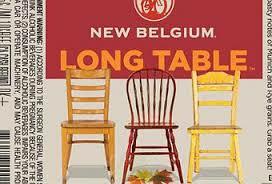 The IPA is brewed year round, but markets vary each release. Availability: 22oz Bottles and Draft. (Escondido,CA) – Stone Enjoy By 07.04.14 is set to turn back into a pumpkin in two days, but not to fret, a new batch is in the tanks and ready to hit the streets July 12th. 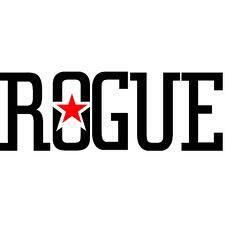 This will be called Stone Enjoy By 08.16.14 IPA. From our preliminary info, this will have the same hop blend as the past few batches:Ahtanum, Super Galena, Simcoe, Amarillo, Delta, Target, Calypso, Cascade, Citra, Galaxy, Nelson Sauvin, Motueka and Helga. While a few batches have been limited to a few markets, we believe this to be another national release like the 07.14.14 batch. 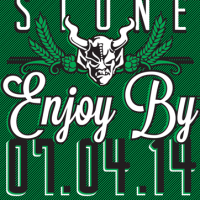 Quick update on Stone Enjoy By 07.04.14…if you follow us on Twitter, you learned about this last week. According to Stone Brewing Co.marketing materials, there is a tentative list of markets and this one appears to be going far and wide. In case you missed it, Quadrotriticale will be released the same week. And starting this Monday, look for the new collaboration release, Kyle Hollingsworth Keri Kelli Stone Collective Distortion IPA.